Welcome to USA Security Services Inc.
USA Security Services, Inc., has been providing quality security and fire alarm services and building solutions to homeowners, developers, institutions, and the realty management industry since 1978. USA also provides 24hr U.L. 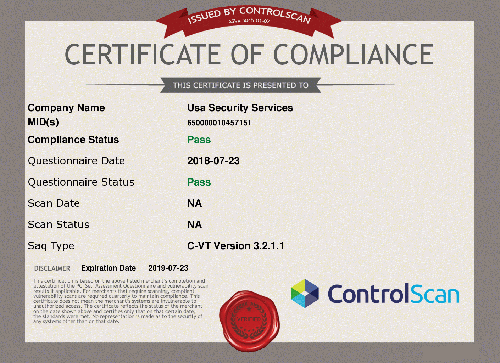 certified monitoring services, as well as 24hr service to systems installed by USA, or those installed by others. Customer satisfaction, quality installation and competitive pricing are all benchmarks at USA. We combine steadfast customer service with the latest technology available. Our aim is to educate our customers to new products and services, recommend the products that meet their needs, and complete their project seamlessly. The Following is a list of core services that we provide to corporations and realty management companies in the New York/New Jersey/Metropolitan area as well as our extended portfolios in Pennsylvania, Connecticut and Florida.